Nell Hodgson Woodruff School of Nursing Professor Judith Wold, PhD, RN, ANEF, FAAN, will be honored for her long-time contributions to social justice, education, health and wellness during WABE’s We As a People: Honoring Service in Memory of MLK celebration at the Center for Civil and Human Rights. The event will spotlight Wold and other prominent Atlantans who continue to advance the work and mission of the late Dr. Martin Luther King Jr.
Wold, a Distinguished Professor for Educational Leadership at the School of Nursing and a public health nursing educator of more than 30 years, will be recognized for her work as director of the Lillian Carter Center for Global Health & Social Responsibility's Farm Worker Family Health Program. The program, now in its 25th year, brings together students in nursing and other health care professions from five Georgia universities for an inter-professional service-learning opportunity that provides life-saving health care services to migrant farm workers and their families in southern Georgia. The more than 100,000 migrant and seasonal farm workers throughout Georgia face complex health issues, different from the general public. This is due to the physical demands of their jobs, poor access to health care services, pesticide exposure and substandard housing conditions. For two weeks every summer, Wold leads student and faculty volunteers in providing care to nearly 1,000 farmworkers and their families throughout a four-county region. Wold’s team provides vision and hearing screenings, well child check-ups, health education, and hemoglobin tests for migrant children throughout the four-county South Georgia region. Adults receive physical assessments and referrals for further evaluation for chronic health issues, screenings for blood pressure, hemoglobin, glucose, and other tests deemed necessary. In addition serving the needs of communities’ most vulnerable populations, the experience also helps students gain a first-hand understanding of health care disparities. Wold has earned many recognitions for her contributions to nursing and education. 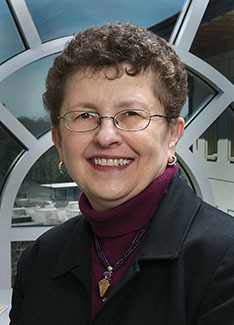 She was recognized in 2012 as the Georgia Professor of the Year by the Carnegie Foundation for the Advancement of Teaching and the Council for Advancement and Support of Education (CASE). She is the first professor from Emory University to receive this award since this program began in 1983. She is also a Fellow of the National League for Nursing’s Academy of Nursing Education and of the American Academy of Nursing.